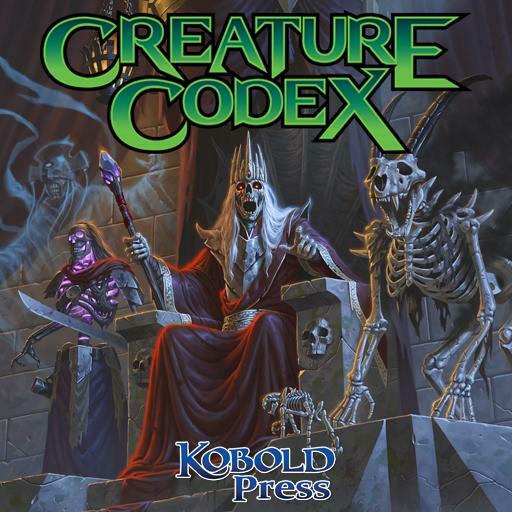 Whether you need dungeon vermin or a world-shaking personification of evil, Kobold Press’ Tome of Beasts offers over 400 ready-made monsters to drop into any of your 5E games! Each creature has been perfectly converted to work on the Roll20 platform, both in-game and out. All monsters come with richly illustrated handouts and tokens by some of the finest artists working in fantasy today. Simply drag & drop any monster from your Roll20 compendium tab onto the game board. It will appear with a fully statted token, character sheet, bio, and clickable skills and actions. Playing at the kitchen table and require quick info on your favorite beast? You can use the out-game compendium to search, sort, and find all the monstrous information you need. Over 400 brand new Compendium entries unlock upon purchase. These entries are fully integrated with the Roll20 5th Edition Compendium, and can be viewed alongside all 5E creatures or separately. Over 400 statted Tokens featuring original artwork. Complete information, statistics and one-click actions for every creature. Designed for use with the Roll20 Official 5E OGL Character Sheet. Watch the Tome of Beasts launch trailer to see features in action! Have questions? Let’s answer ‘em! I bought the compendium. Now what? To view the creatures in-game, open up any of your 5th Edition games and access the Compendium tab. Click on the Monsters section for a complete list, or type to search directly for the creature of your choosing. Simply drag & drop the creature into your game! If you'd like to easily see Monsters by Challenge Rating, Name or Type while in-game, in the Compendium tab click on CategoryIndex. Here you will find these pages listed. Simply click on them to bring them up, and double click the top of the handout to keep it in the background for whenever you need it next. How do I access the out-game Compendium? View the Tome of Beasts out-game Compendium here. 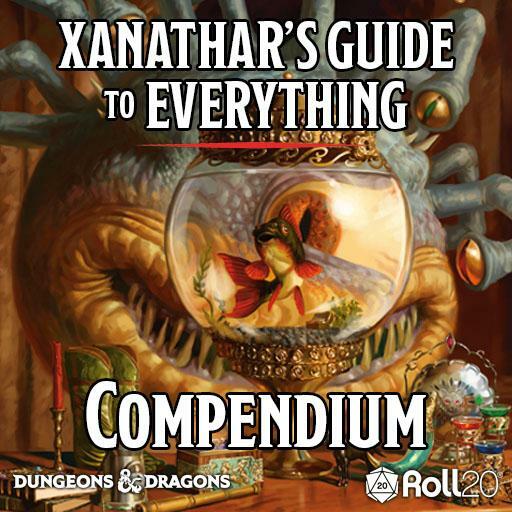 You can otherwise find this page by navigating to Tools > Compendium, and selecting the 5th Edition Compendium. Inside, you will see links for all the Compendium expansions. I found an issue. Where do I report it / get help?